The idea of cash flow is a focal point for many investors who like to know that their investment is creating a positive return for them each month. In order for a property to be considered “cash flow positive” a landlord must see that their rental revenue exceeds their total monthly carrying costs. With rising prices and rising interest rates, some investors are finding “cash flow positive” units increasingly challenging to find. In this weeks blog, we wanted to take an opportunity to break down the importance of cash flows to determine if they should be a deciding factor or simply a nice bonus as part of your overall investment strategy. An excellent example are units that we are marketing at a new project in Hamilton (as us about these if you’re interested in investing and would like to learn more based on the below). A well appointed one bedroom unit in this building with parking sells for $324,500 and rents for $1550 monthly with tenants paying their own utilities. Total annual expenses are $19,787 while rental revenue is $18,600. At first glance this investment can be easily dismissed as “cash flow negative” given that expenses are $1187 more than revenue or about -$100 monthly. A deeper look reveals a much different story. The owner of this unit will have the benefit of $7,321 in principal recapture against the mortgage in year one. The upscale condo market in Hamilton has been strong which allows us to estimate a fairly conservative 4% growth rate each year. In year one this adds an additional $12,976 to the value of the unit or just over $1000 per month in appreciation. Combined, this gives our hypothetical owner a gain of $20,297 during the first year of ownership. From that amount we subtract the negative cash flow of $1187 and see that our owner realized cumulative gains of $19,110 or $1592.50 each month. To complete our analysis we look at the 20% investment required to purchase ($64,833) and see that our $19,110 in total year one return was actually a 29.5% return on the money invested. In our opinion, any investor who is serious about making money will focus on the 29.5% return on investment and avoid being distracted by cash flow numbers. 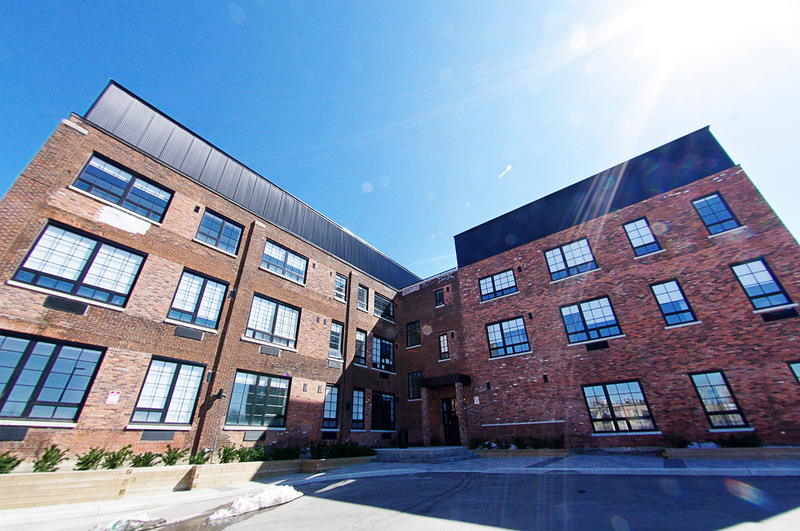 In this specific example, it’s also interesting to note that this project also features a $9,000 rent credit paid to buyers on closing and a 5% cash back incentive paid direct to the buyer from Condo Culture after closing. These amounts have an approximate combined value of $25,000 and are not included in our analysis above. If these incentives were factored in Year 1 gains are approximately $30,000 and Year 1 ROI sits at 85% on money invested. So, should you focus on cash flows or ROI when evaluating your next condo investment? The short answer is both. An investment that is extremely cash flow negative is generally speaking not a great investment as it could mean the expenses are too high and any return may be too dependent on future market growth rather than investment income produced by the unit itself. However, since properties that exhibit a cash flow neutral or slightly negative position each month are actually still net positive since your mortgage is being paid down by thousands of dollars per year, properties that run slightly negative can actually be very healthy investments. Also, since leverage (smart leverage that is) is an underlying strength of nearly any real estate investment, running slightly cash flow negative in opportunities that require less cash down can represent a significant opportunity to reinvest those funds elsewhere and achieve a higher overall return on the amount invested. In fact, in our Hamilton example, the structure of our deal provides you with an option to purchase the unit with less cash down than is typical in the market and through this, increase the leverage of your investment to generate a very attractive return. Next week we’ll talk about the power of leverage and how you can use it responsibly through your next condo investment to increase your overall return. Interested in learning more? We meet all the time with new and repeat investors looking to learn more about the market and discuss current opportunities that are generating the best return. Simply drop into one of our stores for a coffee or reach out to us to schedule an appointment with an investment expert. Interested in learning more about the investment opportunity in Hamilton or ones like the example discussed above? Simply reply to this email and we’ll ensure you’re in the loop with everything you need to know.